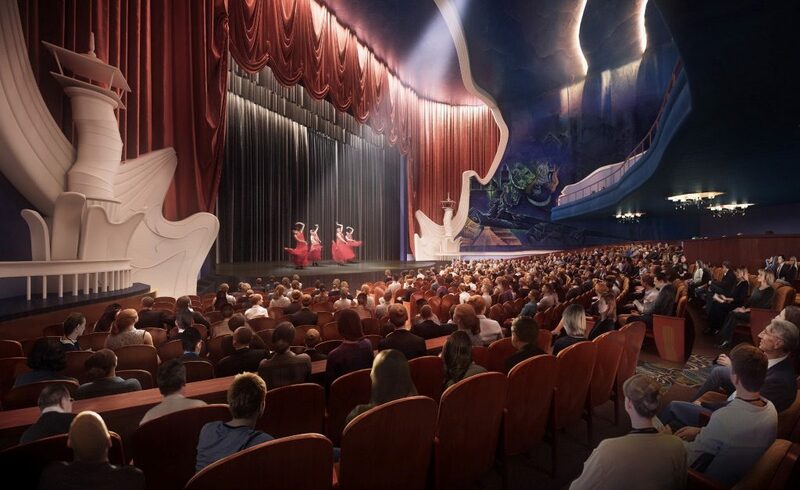 The design team behind the Alameda Theater’s renovation is three months from finishing its work, and then a 14-month construction phase will begin, bringing the estimated completion timeline to August 2020, board members of the Alameda Theater Conservancy said Monday night at an open house. The circa-1949 theater, 318 W. Houston St., which has been closed for nearly 40 years, will undergo a renovation that will cost at least $23 million. 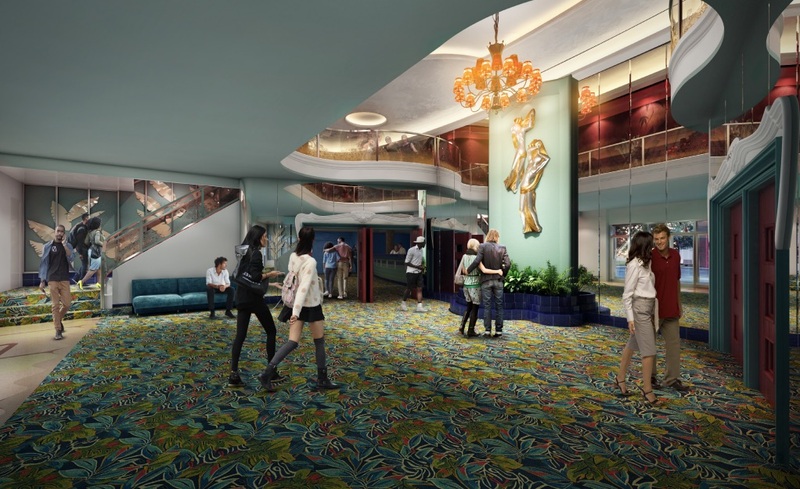 The theater’s lobby will endure most of the work, said Gary Martinez, a partner at OTJ Architects, the Washington, D.C.-based firm designing the renovations. The original carpet pattern of the lobby will be recreated; the silver colors of the walls brought back; and twin dancer statues will return from storage, cleaned and restored. Currently, OTJ Architects is trying to find a chemical to best clean the theater without damaging the black-light murals created by Pedro Teran, a San Antonio muralist. Martinez said the goal is to retain as much of the original material as possible. Some of the people who attended the open house, which was held at Guadalupe Theater on the near West Side, had gone to the movies at the theater in their youth. They praised the rehab. But with the praise came questions of inclusion. Marisela Barrera, an actress and writer, said the city needed to help the Latinx arts community through a facility reimbursement program, which would help smaller, nonprofit theater groups afford to rent the Alameda by reimbursing a percentage of theater rental fees through a government grant. Graciela Sanchez, director of the Esperanza Peace and Justice Center, said the renovation needed more seating. The current plan is to install between 1,000 and 1,500 seats. The original Alameda Theater, which closed in the early 1980s, could seat 2,500 people. “We need more seats to be able to be accessible, financially, to be able to offer $8 and $10 seats,” Sanchez said. Lori Houston, assistant city manager and board member of the Alameda Theater Conservancy, said the projected amount of seats—between 1,000 and 1,500—was established by a “venue capacity study,” which examined the seating capacity of other theaters in San Antonio. Pete Cortez, chief operating officer of La Familia Restaurant Group and a board member of the conservancy, said rents for performers would be established after an executive director for the Alameda Theater Conservancy is hired in the next 12 to 18 months. Since January, Michael Kaiser, former interim director of the San Antonio Symphony, has served as interim director of the conservancy, which leases the theater from the city. Kaiser, who wrote the capacity report, did not attend the open house. As construction nears completion, Cortez said, the conservancy will establish a search committee to hire a full-time executive director. Houston said ticket pricing and rental costs for performers have not been established, but it has been discussed by the Alameda Theater Conservancy board. In an email to the Heron, Kaiser declined to give the full cost of the project. 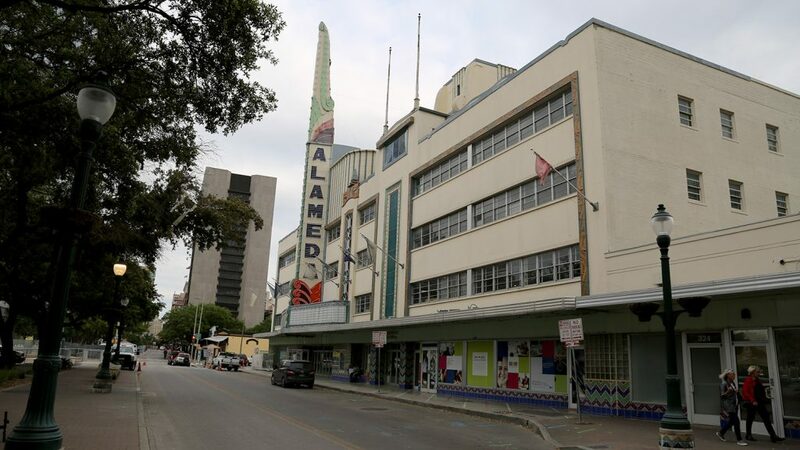 The City of San Antonio and Bexar County are contributing giving $9 million each, and Texas Public Radio (TPR), whose new headquarters is being constructed in the annex building of the Alameda Theater, is chipping in $5 million. Cortez said the board is also seeking new markets tax credits, a federal program that encourages private investments in low-income communities, to pay for additional costs. Fundraising from the conservancy will also contribute to the final cost. TPR’s headquarters, which is being designed by local firm Overland Partners, is expected to be completed in January. The segment of the San Pedro Creek Culture Park currently under construction, right outside the Alameda, is expected to be complete in early 2021. All three projects will be in construction simultaneously. The theme behind the lobby’s restoration, Martinez said, is “honoring the past, while looking to the future.” The Howard Theater, in Washington, D.C., also renovated by OTJ Architects, has large, permanent murals of black artists who’ve performed at the theater. 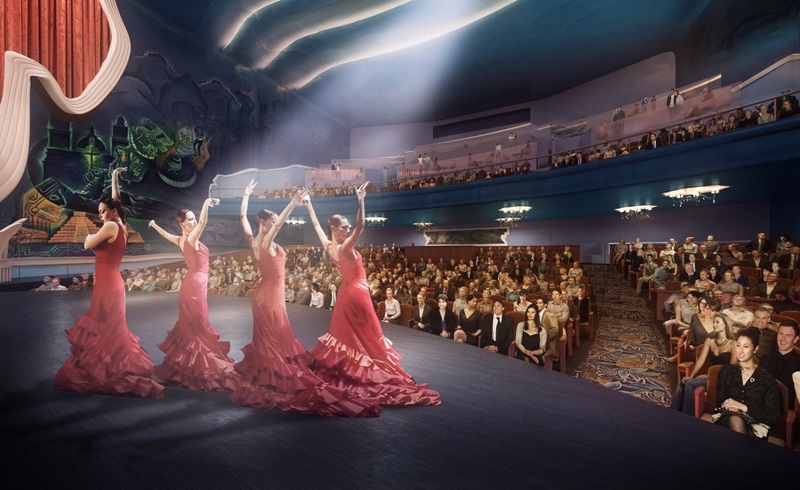 Martinez said the team is looking to do the same at the Alameda Theater’s lobby, where artists who’ve performed there during its initial 30 year-plus run, such as Pedro Infante, Cantinflas and Rosita Fernandez, and Rita Vidaurri, would be immortalized in a tile mural. The original 2500 seats were only 17 inches wide, I believe. That’s a major reason for decreasing the number of seats. Not many customers would return for other performances after sitting in a 17-inch wide seat the first time they go to the theater.